Film charter signing in Herts. A charter that aims to build on the area’s already booming filming industry has been signed. Herts County Council and all ten of the county’s district and borough councils came together with Creative England to sign the Film Friendly Charter. It aims to attract even more interest and investment in Herts by helping local authorities and film and TV production companies to work together, offering advice on locations, providing links to available film crew and helping to arrange any permits required to film. It is estimated that £8.6 million was spent in the county last year as a direct result of location filming, with a single feature film bringing up to £42,000 a day into the local economy. Creative England’s production liaison manager Hayley Armstrong said: “Filming makes a significant contribution to Hertfordshire’s local economy and the county has a long association with some of the biggest names in Film and TV. “By signing of the Film Friendly Charter, Hertfordshire is giving a clear signal to the industry that the region is film friendly. It also shows a strong commitment to encouraging the facilitation and development of film and television in the county. Ashridge is a well known destination for film crews with scenes for Into the Woods shot on the estate along with Les Misérables, Harry Potter and the Goblet of Fire and Stardust. 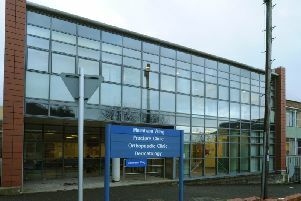 Empty parts of Hemel Hempstead Hospital are also often used by television crews and the adaptation of David Walliams’ Mr Stink was filmed in the town centre. Nearby Bovingdon Airfield is the location of choice for film stunts and Brad Pitt was there during filming for American war film Fury. Just last year, we supported 79 productions to film on location in Hertfordshire including 19 feature films, and I look forward to seeing this number rise in the next few years. The county is also home to Leavesden Film Studios, which houses the Harry Potter tour, and Elstree Film Studios.